Sam and Jules - everyone knows that when you see one, the other can't be far behind. Best friends for more than half their lives, the two are practically inseparable. And in the summer before their last year of high school, Sam and Jules are certain that whatever the future brings - college or professional dance careers or both - they'll be ready for it, sharing the triumphs and facing the tears together. But nothing could have prepared them for Jules's sudden illness and the discovery of its cause - cancer. Sam tries to be a true friend, supporting Jules during the weeks of testing and doctors and treatments, but the horrifying pain and indignities that Jules suffers, and the feeling that she has lost control over her own life, force Jules to a place where even Sam cannot follow. Now both Jules and Sam must learn to accept the unacceptable - that Jules's cancer may not go away. How each, in her own way, comes to face the possibility of Jules's death, and learns to celebrate her life, makes for a searingly honest, unforgettable novel. So. The arguments above^^ come to tell you to PLEASE READ THIS BOOK. The writing, the flow, the feeling behind every word- I was close to tears in the beginning already. 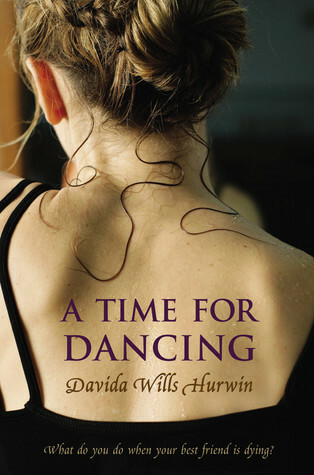 Part of the beauty of this book was that it centered around dancers- but don't worry, even if you know nothing about it you'll be perfectly fine. And for those of you like me, who not only know the studio life, but live it? You'll be moved by the all-too-true descriptions of the highs and lows of proffessional dancing, the artistry behind it, and most importantly by what it means to the dancers. And the main theme? Real friendship. These days, every fad book or epic series is accompanied by touching love story, but not enough center around a having a true and loyal friend, always there through storm or fire. Dare I compare Samantha and Jules to Will and Jem? I wasn't sobbing QUITE as much as I was in Clockwork Princess, so don't take that analogy TOO strongly, but many of the same elements were there. I don't like reading cancer books at all. It took me ages to give The Fault In Our Stars a try and only because I was told cancer was not really the focus at all. To me it's more like "Millions of people are battling this illness so why would I want to read another instance of suffering because of it?" It's so very real and prominent in life already. But this novel does sound like it has a lot to offer and I actually really like the dancer angle. Great review, Esty!